In “The Souls of China,” author Ian Johnson shows how China does, indeed, have more than one soul. The religious landscape is dynamic yet chaotic, as the Chinese people carry not only a 5,000-year history behind them, but also the excesses of the Cultural Revolution from 1966 to 1976, the year of Mao’s death. If there is one consistency to contemporary Chinese belief systems and practices, it is inconsistency, the author makes clear. Yet he does highlight certain tendencies. Chinese people are not dogmatic: Their religions are not so much about believing in the right creed, as it is in Abrahamic religions. Rather, the Chinese value ritual — “the profound issue of how to behave.” They might not always know why certain prayers or religious functions are required, but they know to do it. Johnson makes it clear how challenging it is to remain faithful to these age-old practices. When people move to the city, they want quick and snappy funerals, not the two- to three-day affair. He describes how Daoist priests have had to adjust. The author also makes clear how government policies, always changing, have influenced China’s religious landscape for over 100 years. Even prior to the 1949 communist takeover, the post-imperial governments attacked religion. Johnson gives readers a good historical roundup: The 19th century, with the loss of prestige and sovereignty to Western nations, was a disaster to the Chinese psyche. 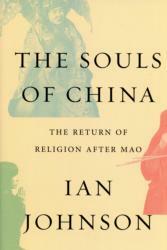 Reform movements of the late 1800s targeted not only the Qing dynasty but the entire religious edifice. Emperor and traditional religions were mutually supporting and reinforcing, something Johnson describes well: “Rituals helped organize Chinese society.” Attacks on local temples were, therefore, likewise attacks on the political system, a system the reformers felt had held China back. “They are all gone. The Hall of the God of Prosperity. Guanyin Temple. The Hall of the Three Purities. The God of Wealth Temple. The Temple of the Five Paths. The Temple of the Three Lords. The Perfected Warrior Temple. Some of the temples were really big,” Johnson quotes one older Daoist leader as saying. The central government, after Mao, has not been consistent. The wild west 1980s and ’90s saw a resurgence of “Qigong,” which combines coordinated body movements, breathing and meditation, and ended with the government’s attack on Falun Gong in 1999. Since then China has seen a resurgence in Daoism, Buddhism and Confucianism, its three traditional faiths, along with the hard-to-define Chinese folk religion. The central government has supported these over Christianity. This brings up a major theme of “The Souls of China”: The central government promotes “sinicization,” getting things to fit into the Chinese way. This starts with promoting the nation’s traditional religions, and extends to controlling Protestantism and cutting its global links. Foreign connections invite a strong government reaction. International missionary organizations were kicked out after the communist takeover and have not been allowed back in. Yet this has hardly hurt Protestantism in China. In fact, Johnson argues that Chinese Christians were already moving toward self-sufficiency in the 1930s. Many Christian voices at that time opposed foreign missionaries on Chinese soil. Catholic readers will understand why the Catholic Church in China has fared much worse since 1949 than the Protestants. The government’s China-only policy severed China’s Catholic leadership. Many leading priests, health care workers and teachers had come from abroad. Their expulsion after 1949 left the church basically leaderless. It was not as flexible as the Protestants in the ensuing decades, leading to stagnation. Johnson pays little attention to the contemporary Catholic situation. The author’s interviews and citations of everyday religious people makes the book come alive. None of what he writes is theoretical. We come to know some of these people, who welcomed Johnson into their homes with sunflower seeds, canned beer and earthy advice. “The Souls of China” is suitable and rewarding both for people already familiar with Chinese culture and readers who find China to be a mystery.